There might not be a player in franchise history that means more to the Texas Rangers organization than Adrian Beltre. There's Michael Young, Pudge Rodriguez and Juan Gonzalez, but for various reasons, if asked to pick one player as the face of the Rangers' franchise, to me, it's Beltre. The future Hall of Fame third baseman is set to be a free agent after the 2016 season, during which time he'll turn 37 years old, but there doesn't seem to be any intention on the Rangers' part of letting that happen, and I'd bet Beltre feels the same way. 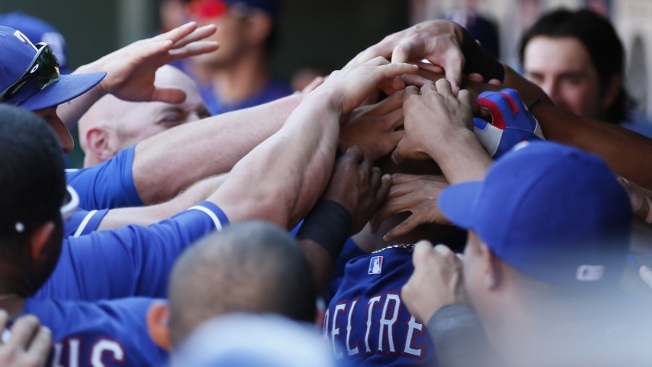 The Rangers want to make sure Beltre ends his career in a Rangers uniform, and there's never been a reason to think Beltre feels any differently. "We're obviously well aware of his contract and we would like him to be here," Jon Daniels told reporters from the winter meetings in Nashville. "It's not something we have sat down and really gotten after it yet, but it's important to us and we would like him to be here."